The project was a complete redo of the kitchen and main bath in my home. Very nice people did the work to a high quality. Input from Joseph with regards to design choices were invaluable to me. Thank you very much Adam! We appreciate your kind words, and look forward to working with you on your future project! After an extensive search my wife and I confidently selected Urban Studio Design. Their attention to detail in the proposal, along with their proposed milestone payment schedule allowing us to pay upon completion of stages assured us that we were in the hands of a trustworthy and experienced professional. During the renovation process my wife and I decided to stay with my parents on the other end of the city so between the work and the kids we didn’t have much of time left to attend daily and check on the work, but Joseph and his team made us an active part of the transformation during this time. He sent us text message along with picture updates, with this consistent communication coming from Joseph, we were made to feel at ease with the large scope of changes happening daily at the house. We made some changes and added few things to the work along the way but Joseph and his team were flexible and always willing to rectify any last minute changes. Joseph is very easy and pleasant to deal with and his ideas and suggestions was very helpful throughout our project. He remained in constant contact with us along the entire process in which made us feel involved throughout the project. It was a stressful time for my family away from home but now that the renovation is complete and we are back in our new beautiful home we could not be happier. Thank you again to everyone at Urban Studio for the hard work! Thank you Mike for this amazing review! It was an absolute pleasure getting to know you and your family and your kind words are very much appreciated. I hope you guys will enjoy your new space for many years to come! I have to be honest, I was very nervous because I am sure we have all been there, where you look for a contractor who is trust worthy and then they turn out to be someone completely different. Leaving you high and dry! Before Urban Studio Design, I met with several other building companies. Some did not return calls or emails, some promised an appointment and never bothered to show up or follow up. And of course there was the one who wished me luck on my project. I was trying to connect with these companies in the summer of 2018 as my project was not until the following summer, so therefore, my enquiries did not take precedence over other jobs. No one had the time to sit down with me and listen to my plans of making my house into a “dream home”. Then I emailed Urban Studio Design and within a few days of booking an appointment, someone was sitting down with me. Joseph, the Project Manager listened to my every detail. He was open to my ideas, gave me feedback and even allowed me to see other projects that he was working on. To me this seemed too good to be true! But I am here to say that his transparency is real and because of him, my husband and I decided to use Urban Studio Design. Then I had the opportunity to meet Michael the architect. He took my ideas and designed the required drawings for the City Building Permits. Of course I wanted the sun, moon and stars, but Michael advised me about City Bi-laws and zoning. bringing me back down to earth and still designing something special that I was extremely happy with. Thank you Urban Studio and Thank you Joseph and Michael for putting up with me and my million changes. To anyone reading this, If you are looking for a dependable and trustworthy company, I would highly recommend Urban Studio Design. Thanks very much Diana! We very much appreciate your raving review!! It was a privilege getting to know you and your lovely family! Wishing you guys many years of joy and happiness in your new "dream home"!!! I bought my condo in spring of last year, and it had been built in 2000 so it needed an upgrade. Also the kitchen was L-shaped and offered little storage so along with new floors/bathroom I had planned to knock out the L shape, built the kitchen along the wall and add in an island. I also added in a dropped ceiling so I could have pot lights and pendant lights installed in the kitchen. What made me choose Urban Studio to begin with was the way their contract was laid out. It broke down exactly how much was allocated to each task/material so if I choose a more expensive countertop I'd pay extra, or is a less expensive one I'd receive a credit (and I ended up receive some credits and upgrading the countertop so their pricing was pretty on par). The contract was transparent - other ones I had received were cheaper only because they didn't include any material so I really had no idea how much I'd be spending overall. I stayed on budget I should add. It was a major renovation in a small space, and I also lived there throughout which wasn't ideal. But every day the workers would make sure the place was tidy when I came home. There was one small problem with the vanity, the wrong size was installed, but before I could have a freak-out Joseph was already on the phone with the 3rd party installer getting it sorted out. He was great, making sure everything was done perfectly. The finished product is amazing - even better than I could have imagined. The plumbing/electrical work was all down well, no issues. It was a relatively easy process for me, well as 'easy' as a renovation can be! I would highly recommend Urban Studio. There were incredibly professional, the process was very transparent and the work that was done was amazing! Thank you Alex for spending the time to leave us such a great review! Your kind words are very much appreciated. It was a pleasure working with you to achieve the vision and design you had in mind. I must add, having your mother as the architect and designer of your project, providing us with all the necessary details made our work that much easier and enjoyable. We hope you enjoy your newly renovated space for years to come! Please do not hesitate to let us know if you need our help or assistance in the future. I hired Urban Studio after interviewing a few contractors. Joseph (project manager) was very enthusiastic about the project and brought us out to a few of his ongoing projects to show us his work. He also had some good suggestions about how to get the work done efficiently without bothering our neighbours as this was a concern for us (given the close proximity to them). So, we went with his company! Overall my family and I are pleased with the outcome of the work. We do love our home. Joseph had many design ideas which worked well in the space. He was also attentive to a few items when things came up which were not expected and caused delay in the project. I very much appreciated his willingness and quickness in fixing these problems. He was always willing to find a solution. We did hit some bumps in the road and the project did go over the deadline. There was an unfortunate delay. At times, it was not easy to reach Joseph as he is busy with other projects.... He does work hard and he may take time in getting back to you with your concerns. Overall though, we are pleased with the end results and we also enjoyed/liked most of the subtrades who were very professional when we came to check on the progress of our home. His father was also lovely and often checking on the progress. Thank you to Urban Studio for your dedication to our home. Thank you very much for the positive review, glad to hear you're as happy with the outcome as we are! As you saw, we are constantly working on several projects - which is why it can be difficult at times to get back to each and every client at a moment’s notice; so thank you for understanding this Rose! Unfortunately, yes, we did run into some ups and downs throughout the project which put us slightly behind our anticipated deadline. Some delays are bound to come up when working on larger scale projects like this one, but as you experienced we do our very best to accommodate our clients and the end results they seek. We had a great time working for you and your lovely family Rose. Thanks again for sharing your thoughts and experience with others! 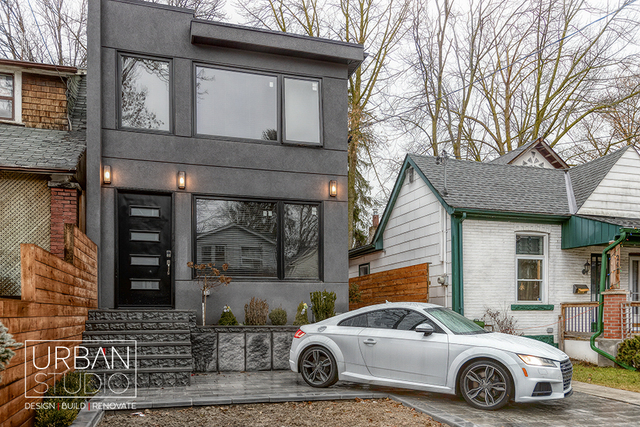 My wife and I moved to Toronto from B.C back in January and purchased a typical old detached house in the Main and Gerard area of the east end. The house had a very strange layout and was never renovated before so if needed to be completely gutted. That’s when we started our search and finalized our choices between Urban Studio and another well known company that operates in the east and I must say, the team at Urban Studio stood out from the very first impression. Joseph was our point of contact from the very first day unlike the other companies that sent out their sales people to meet with us! He was very knowledgeable and walked us through the scope of work. He was passionate and accommodating and with a great team of professionals trades and his skills of management they undertook our massive project and finished within 6 months that was promised on the contract. Joseph kept us involved in making decisions and choosing all the finishes. He spent many hours with us discussing details of the project helping us understand the scope of work and the progress of the project which was very outstanding. We are extremely happy with the final result and very pleased with the entire team at Urban Studio. Thank you Joseph and I hope everyone who has the pleasure of meeting you will come out as satisfied as I am. Thank you for the great review, your kind words are much appreciated! We're very happy that you and your wife loved the work that we did! 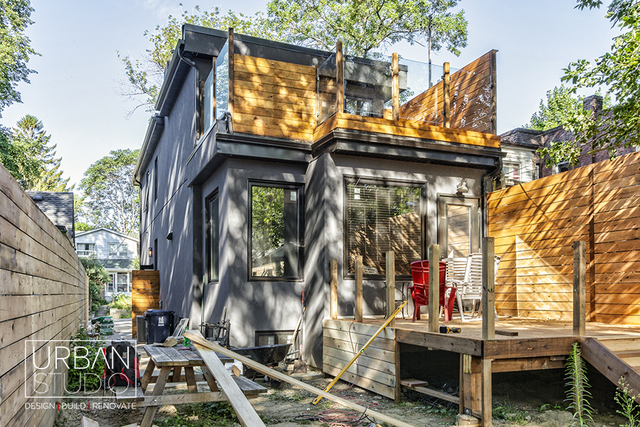 We hired Urban Studio originally to add a second storey to our home in Toronto back in 2016 we were very happy with their work then so asked our project manager at the time if they were interested in building a cottage for us up in Southampton ON. We have owned property on the water up there for a long time but the cottage was in need of major repairs so we decided to finally tear the entire place down and build something custom so our entire family could use it. Once again the team at Urban Studio (and a special thanks to our project manager for the second time Joseph Alavi) for exceeding our expectations. Even though he resides in Toronto he was able to make the drive North at least once a week to make sure our cottage was being kept on schedule and on budget. They did a fabulous job and we were so happy we got to use it for the Canada day long weekend! Joseph your dedication to your work is incredible and your passion is shown in the quality of throughout our cottage and our Toronto home. Thank you for not only traveling the distance but for building my family's dream get away! I would highly recommend Urban Studio to any one looking to complete a major! Thank you for leaving us such a great review, it means a lot to us! 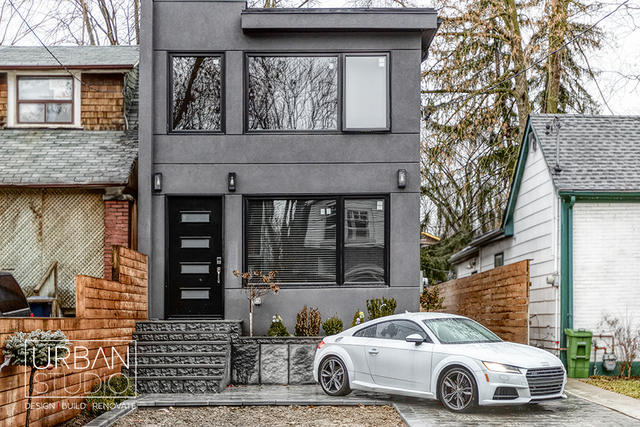 Even though we do mainly service Toronto, we are always excited to take on select projects outside of the city. Your cottage was a very unique project that we were also very proud of the end result. We can't thank you enough for your repeated business. Looking forward to hearing from you when your next project idea comes to surface! We hired Only Basements to completely refinish our basement. We had the entire basement completely gutted and underpinned as we wanted to turn the area into a usable basement and needed the extra ceiling height which originally was under 6ft. After researching and interviewing close to ten companies we had our initial meeting with our project manager Joseph, he was very knowledgeable as he basically broke down for us each stage and exactly how the job was going to be performed. We felt educated about construction after speaking with him and received detailed scope of work and pricing shortly after the first meeting. He invited us to visit two of his ongoing underpinning projects in the neighbourhood and allowed us to speak with his current clients, who shared nothing but good words about the company. At that point we felt extremely comfortable and chose to proceed with Only Basements. 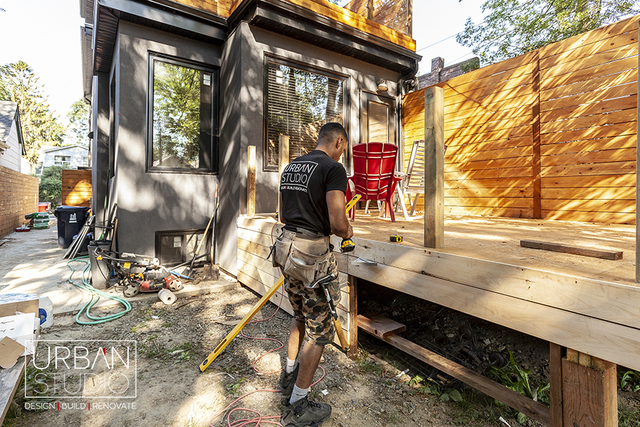 The construction was preformed smoothly and delicately without any unforeseen issues despite what friends and families warned us about when doing an underpinning renovation. These guys stuck to their promises and performed each stage of this huge project keeping us informed and notified with the progress and inspections. My wife and I are happy with our new basement and extremely satisfied with the level of professionalism Joseph and his team of tradesmen shown us throughout! We would highly recommend them to anyone out there looking to underpin their basements. 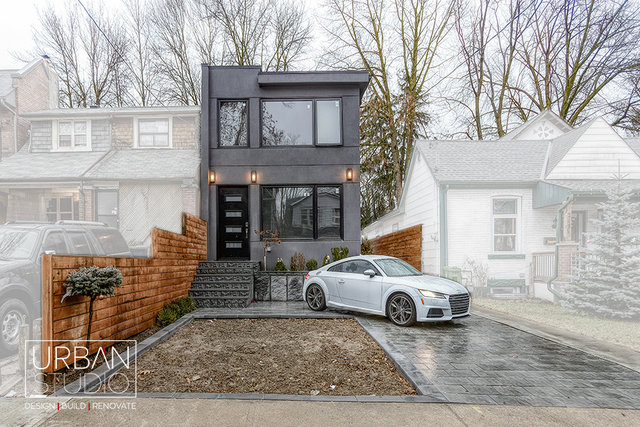 We worked with Urban Studio in completing our home renovation. We met with Joseph Alavi our project manager at the very early stage of our project, he helped us every step of the way with our renovation. We were extremely happy with the level of communication and his prompt responses during the entire course of construction. He provided us with updates on the progress of the project, which made our renovation process run very smoothly. I would like to point out that they were the only company we interviewed with that offered us a milestone payment schedule which made everything a lot easier for us. During the course of construction, the workers showed up every day on time as it was promised. They were very respectful of our home and cleaned the property every day at the end of their work. Joseph helped us with the design of our new open concept kitchen and living room and helped us in choosing all the appropriate material for our newly renovated home, including our kitchen cabinets, bathrooms, hardwood flooring and a lot more. We are grateful for all his help and for his professional crew who helped in building this new space. 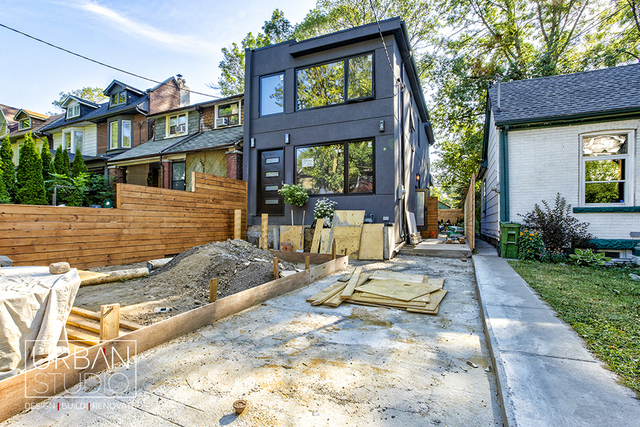 I would recommend Urban Studio to anyone looking to do a major renovation. Thank you so much for the kind words. We are so happy to hear that you and your husband are enjoying your new space and we hope the enjoyment lasts for years to come! Overall we are extremely pleased with the end result of our renovations. We feel we got good value for our spend, and appreciated and benefited from Joseph's design expertise throughout the process. Our timeline was aggressive, and as often happens the scope expanded during the project yet we were still back in our home just in time for Christmas as promised. As Urban is a younger company, still establishing itself, some of the process was not smooth or easy. Joseph did willingly rectify issues courteously, but as the homeowner you will need to be very hand's on to ensure all the work happens to your level of satisfaction as Joseph is stretched quite thin, building the business and project managing. This worked for us as I was able to manage my time to be available, and enjoyed the learning. Joseph passed on his full discount with each supplier, allowing us to maximize our budget, and even arranged discounts with vendors he didn't already have accounts with at our request. We are very happy with the way our vision for our home was brought to light by Urban Studio. Hi Jillian, Thank you so much for all your kind words. We are thrilled from your feedback and admire your great review! We are thankful that we had the opportunity to collaborate with you and help in making your vision come through and thoroughly enjoyed the process of working with you and your lovely family. Once again thank you for being so patient with us through out the project while we resolved the issues and all the imperfections. Wish you all the best and hope you enjoy your beautiful home for years to come! Urban Studio specializes in large-scale renovations and home addition projects. 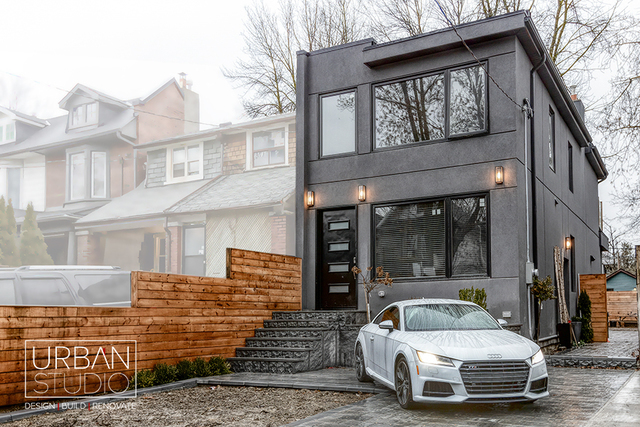 With a core focus in some of the older neighbourhoods of Toronto such as The Beach, Leslieville, Leaside and surrounding East York neighbourhood, We are a full-service company working with you from conception to completion. Each project is managed by one of our professional project managers who work with each client one-on-one from start to finish to obtain the best results above industry standards.